Roxana’s partnership with Project Compassion began in 2007 when she took her first missionary trip to Uganda. She was inspired and motivated to help those in need throughout the world. Since that life-altering mission, Roxana continued her call to service in Uganda, Mozambique, Cameroon, Kenya, Malawi, Ecuador and Mexico. Roxana believes we share the responsibility to help those who cannot help themselves. Traveling to a third world country is difficult and challenging, but the reward of making a lasting footprint toward the betterment of a civilization is immeasurable. The people in these impoverished areas throughout the globe are not only in need of physical care, but more importantly spiritual care. Project Compassion’s goal is to provide these citizens of the world with both. Roxana’s passion for helping others is evident in her profession. She is a law enforcement commander with over 24 years of service in San Diego County. In addition to her call to service with Project Compassion, Roxana is an advocate for the locally indigent. She works with San Diego homeless coalitions to provide resources and meals for families throughout the year. 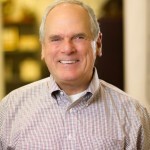 Pastor Bob Maddux, Project Compassion co-founder, has been in full time ministry since 1968. 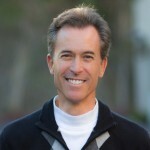 He is the founding pastor of Trinity San Diego, formerly The Connection and Christian Life Assembly in Poway, California a suburb of San Diego, where he has served as senior pastor from 1988 to 2015. Under his leadership the church has had an international impact through its various outreaches. One example is Project Compassion http://www.projectcompassion.org/, which he co-founded in 1992. Besides his Pastoral work he has ministered on five continents training national pastors and doing evangelistic outreaches. His overseas work led him to found Healing The Nations Ministries which is currently developing a treatment program for HIV/AIDS. In 1976 he founded Capital Bible College and served as its president for nine years. 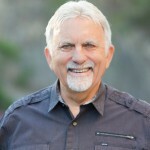 In 1979 he founded and directed Jesus West Coast, a large annual missions festival attended yearly by thousands and credited with recruiting’ many into missions. Pastor Bob has authored the Angel award-winning book Fantasy Explosion, and has produced and directed various films and documentaries including the award winning Mzungu. He’s written 3 other books, the most recent is “Good Samaritan Therapy, Real Medicine for the Soul”. He and his wife, Claudia, have been married since 1969. They have 3 grown children and 6 grand-children. 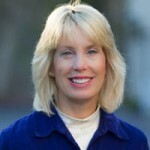 Annie comes to Project Compassion after retiring from a career as an Executive in the field of Medical Administration. 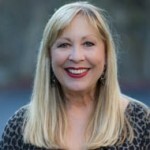 She has volunteered or worked with many non-profit agencies in San Diego County including Project Compassion, Neighborhood Healthcare, Seacrest Village and InterFaith Community Services. Annie’s participation with these various agencies is driven by her desire to help others in need. Annie brings operational and organizational management expertise to the Project Compassion Team with the desire of continuing the great services that the organization provides though it missions around the world. Annie, her husband and son have lived in San Diego for over 30 years. She feels it is a privilege to be a volunteer with Project Compassion. Natalie is a Registered Nurse and a Pediatric Nurse Practitioner who has been involved with Project Compassion since 2000. She received her Master’s of Science in Nursing in 1987 and is board certified in both Pediatrics and Family Health. 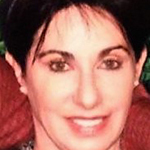 She has been employed for the past 20 years with Sharp Rees Stealy Medical Group in San Diego and previously worked at Children’s Hospital San Diego for 10 years. “After my first trip to Mexico in 2000 with Project Compassion, my heart was on fire for missions and I’ve wanted to return with this group as much as I could. Traveling with Project Compassion is a wonderful way to serve the poor, experience the work of the Holy Spirit and bring the hope of Jesus Christ. Claudia is on staff at The Connection as the Director of the Worship Department and main Worship Leader; as well as Missions Director. 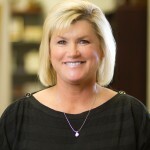 She administrates the Connect Groups (home Bible study groups), and has led or been the advisor for Women’s Ministries for years. She works beside her husband, Bob, who has been the lead Pastor there since 1988. She also is an award winning photographer, and has launched a website in 2013 of her best travel photos. She and Bob have been married since 1969 and have 3 grown children and 6 grand children that are the delight of her life. Claudia has been involved with Project Compassion since the beginning, and has taken many trips with PC through the years. She even won the “most trips taken” award a few years ago. She has a love for Missions and loves being a part of bringing the Good News to the world… (She has been to more than 100 countries).